As you can see, the leaves are falling and the temperatures have dropped. That means fall is in full swing and the holidays are around the corner! Dr. Jessica Emery and Paxton spent their week escaping the brisk air by flying out to Scottsdale to attend NextCon17. NextCon is a three-day conference organized by Nextiva, a company that excels in creating communication devices and software for businesses. This conference gives entrepreneurs and business professionals the opportunity to hear from leaders in various industries. The speakers talked about business strategies, advancements in technology, leadership tactics, and improving customer relationships. One of our top priorities at Sugar Fix is our customer service. We truly go above and beyond and treat our patients like we would our family. As a team, we also look to the latest and greatest technology to help serve you better. We learned so much on what Nextiva could do to help with continuing our customer experience. 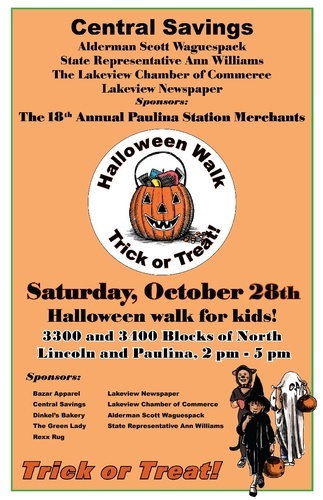 Another exciting event this week that you don’t want to miss, is the 18th Annual Paulina Halloween Walk! Make sure to stop by Sugar Fix Dental Loft on Saturday, October 28th from 2 pm – 5 pm. We will be handing out yummy treats! As a friendly reminder, most insurance plans and health savings accounts will expire at the end of the year. If you have outstanding treatment or would like to visit us for a professional teeth cleaning and exam, please do so before December 31, 2017 to maximize your benefits. Our schedule is filling up fast! You can give us a call at 773-883-1818, send us over an email at info@sugarfixdental.com or go ahead and select a date and time below to come in and talk teeth!